Here is a quick summary of results from four recent memory competitions. Scores are also broken down into Adult, Junior, and Kids categories. Ben has a writeup of the Welsh competition on his blog and there’s also a writeup on the World Memory Championships website. The Italian Championship was streamed live again. The video is still online and can be watched on their website [update: currently offline as of 2019]. The video has commentary by Florian from Memory-Sports.com. Jonas von Essen is the current World Memory Champion. The results aren’t posted online yet, but check the links here (national) and here (open) soon for the scores! The 2014 memory competition season is off to a great start! Congratulations to all the competitors, and many thanks to the organizers and arbiters for making it possible. 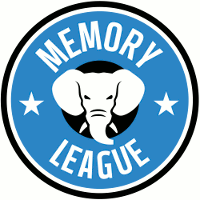 If you didn’t already see it, the USA Memory Championship results are also online. Also be sure to check the World Memory Statistics website for detailed information on each competition.